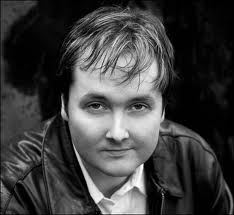 Kyle Minor is the author of In the Devil’s Territory, a collection of short fiction, and co-editor of The Other Chekhov. His recent work appears in The Southern Review, The Gettysburg Review, and Plots with Guns, and in anthologies such as Best American Mystery Stories 2008 , Surreal South and Twentysomething Essays by Twentysomething Writers. Random House named Kyle one of the “Best New Voices of 2006,” and The Columbus Dispatch named him one of their ”20 Under 30 Artists to Watch” in 2007. More at http://kyleminor.com/. UFR: It’s hard not to go anywhere without seeing your writing. For example, you often write for HTMLGIANT, a popular literature blog. Your writing appears elsewhere, too. It’s amazing, though, that despite such quantity, there’s always such quality, too. What does your process look like? How do you make your writing sing? Minor: I don’t consider the work I do for HTMLGiant to be my “real” work. My primary energy goes to working on book-length projects and essays and stories I write for literary journals. I think of it more like a laboratory, where interesting and interested people gather to share and try out and try on some thoughts and ideas about literature. It’s excitingly similar to the kind of thing I saw a few years ago when Walter Murch and Lawrence Weschler were contributing to Transom.org, which was a website for people involved in the production of radio shows like This American Life. And it’s not terribly different from what can happen when a lot of writers live in the same city and decide to spend time together talking and thinking and sharing about reading and writing. It’s been said so many times it’s almost a cliché: The Internet is the new New York. Things are happening at places like HTMLGiant and The Rumpus, and I want to be part of them. UFR: Your book, In the Devil’s Territory, is a collection of stories. How are these stories connected? Why did you decide to write in story form? For you, what does a short story do that a novel can’t, and vice versa? Minor: They are connected thematically, and there are characters who appear in more than one story. One of them — the cuckold, Leslie Ratliff — appears in three stories (but never from his own point of view), and he will also appear in the novel I’ve almost finished, The Sexual Lives of Missionaries. 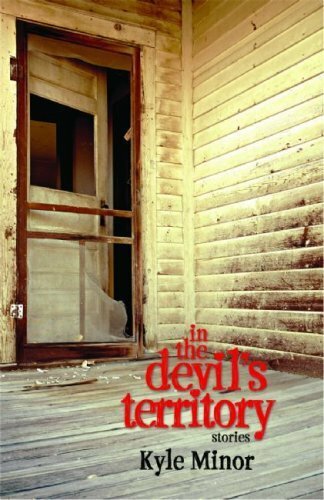 It’s hard to think of In the Devil’s Territory as indicative of my work now, because one way or another I started working on it almost a decade ago, and it’s been in print for three years. In the meantime, a lot has changed about how I think about my work and about literature. My style has changed. I’m writing a book that is lusher, language-wise, and (I hope) funnier and more formally interesting and more generally like the books I love the most. I wanted to change my writing as radically as Bellow did when he wrote Augie March, or Roth did when he wrote Portnoy. I’m interested in trading glumness for exuberance, and in thinking bigger. The novel has been a good outlet for that kind of practice. UFR: What calls you to write? Once you start, what keeps you going? Minor: I sit down every day and I do the work. I want to do it in the abstract, but it’s difficult to decide to do it every day. Often I would rather play with my children, or play music, or read, or watch TV, or walk down to the river, or drink beer, or go to the gym, or surf the Internet. There’s something monastic about writing that doesn’t agree with me. But there is a pleasure in having made something good that justifies the work, for me. And there are things I really want to make. So I press on. UFR: Do you write with an audience in mind or for yourself? How do you negotiate the two — audience and self — in the writing process? Minor: Both. I care about the reader, and I care about offering the reader a very specific experience, and that’s where the “for myself” part comes in. I admire writers who care hugely about both concerns, at the same time: Philip Roth, Jeffrey Eugenides, Katherine Anne Porter, Gabriel Garcia-Marquez, David Foster Wallace, Jennifer Egan. I also enjoy a lot of writers who claim not to care about the reader at all, and count them among my favorite writers to read, but that’s not the kind of writer I want to become. UFR: When writing, do you usually map out your ideas or are you open to improvisation? Minor: Both. For long projects, I make a map, but then the map changes, and then I make a new map, but that map changes. I’m never wedded to the map, but it’s a comfort to have some idea of where you’re going. For short projects, I often have no map, but as I write, sometimes I can see the ending and the seven steps from here to there, the brain rushing ahead of the typing fingers and the language-maker. That’s a very exciting thing while it’s happening, and it’s one of the primary pleasures of writing short. It most often happens in the personal essay, which is the form to which I’m probably most naturally suited, but which isn’t the form where my ambitions are mostly situated. UFR: What are some books you’ve read recently? How were they? Minor: I am a very slutty reader. I like a lot of different kinds of writing. Right now I’m reading Alexandra Styron’s memoir of her father and his work, which has made me want to read around in Sophie’s Choice a little. In the last couple of months, I’ve read and enjoyed books by Johannes Goransson, Danielle Evans, Terrance Hayes, John Irving, Brian Evenson, Deb Olin Unferth, Kate Bernheimer, Vladimir Nabokov, Charles Dickens, and Maggie Nelson. I’ve also been reading biographies and books about chess. UFR: What do you look for in what you read? To you, what makes a good book, story, or essay? Can you use the same rubric for each? Is there even a rubric, or is it more subjective than that? Something like feeling? Something else? UFR: Which writers do you look up to? Which writers have most influenced your own writing? Minor: The story collection owed a lot to Andre Dubus, Katherine Anne Porter, and Alice Munro. The kind of writing I’m doing in this novel owes more to Philip Roth, John Updike, Nathan Englander, Brady Udall. Most of my favorite writers are American Jews. I could happily subsist on a diet of Roth, Bellow, Ozick, Englander, Malamud, Singer. The pantheon. I’d like to find a way to do with the background, folklore, mythology, dreams, and history of my own communities of origin the kinds of things that those writers have done with theirs. And there is significant overlap which makes their work seem so familiar: They owe much to the Hebrew Scriptures, and they are American, and they have knowledge of the literary possibilities of the person who operates in the closed system which must operate in a world that seems in some ways familiar and some ways foreign. UFR: As a writer, where do you want to go? What’s next? Minor: As soon as this novel is put to bed, I’m going to finish two nonfiction books. Then I want to write another novel. I would also like to write and possibly direct films, but they require huge resources. The nice thing about writing books is that you can finance them yourself. If the question is about the work itself, I want to be more ambitious. I want to tackle subjects that are larger in scope, and I want to write for a much larger audience. I want to write things not only for other writers (which seem to account for a large part of my audience right now), but also for the kinds of readers who subscribe to the New Yorker — intelligent, good readers, who are interested in the world, and for whom literature is still important. I think there are around a million of them in the United States, and many more in Europe and Asia and South America and Africa and Australia. I want to bring pleasure to as many of them as I can, and I wish for it all to happen yesterday. Every day, I hear the drumbeat of that want. Talking with Furniture: Paul LisickyIn "Talking with Furniture"